I’m always open to new kinds of burgers, so it was only a matter of time before fish made an appearance on Life of Burgers. While it wasn’t necessarily a planned choice to have the premier fish burger during this visit to Rockbottom, after reading it on the menu I decided that I wanted to take the plunge! The appearance of this burger is pretty straightforward given that there is only a handful of toppings. I did really like the look of the bun as it looked fresh, and it had an almost perfect shape to it. I also thought the pickle on top was a nice touch. I was excited with how crispy the haddock looked. When it comes to fish burgers, I hands down prefer a crispy, breaded texture to grilled, but usually with haddock it’s not an issue. I would be lying if I said I wasn’t slightly worried about the lack of contents in this burger. I know haddock burgers tend to be more simplistic than a lot of beef burgers, but I still had a feeling that something might be missing. I was fairly impressed with the taste of this burger. The bun, as predicted, was fresh and soft, so no complaints there. I also loved the pile of fresh, crisp veggies on top of the fish. The fish itself was tasty, and I enjoyed the crunch that the panko crust gave. There was also a good portion of fish used, so there was no worries about not being full after the burger was finished. My one complaint is that I did feel there was something missing. Now, this could be due to the fact that there was a very small amount of the chipotle ranch dressing on the burger. If there had been more of the dressing, it’s likely that my issue would have been resolved, as there would have been a greater level of flavour. The cost of this burger is $12.95, which is pretty reasonable. As I said, I would have liked some more of the dressing on the burger, but other than that, you can’t really complain with this price tag. 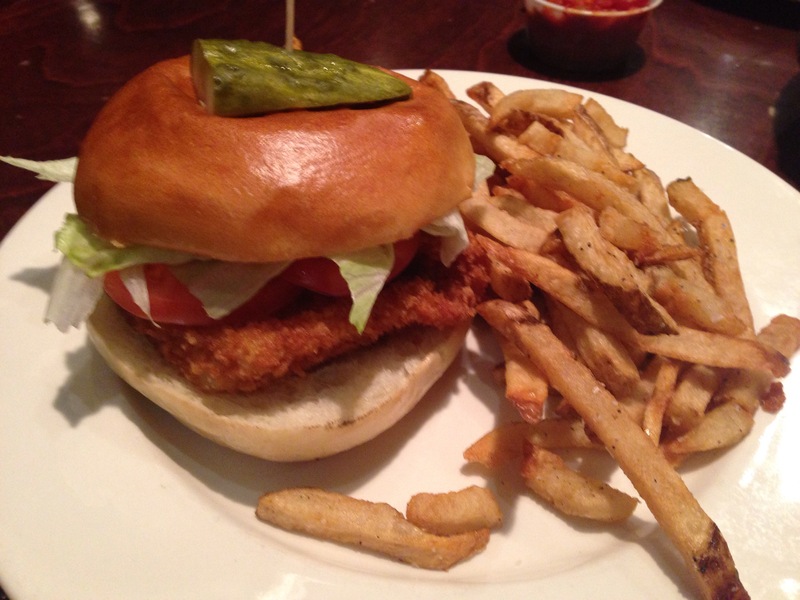 For the first official fish burger for Life of Burgers, the Crunchy Haddock Burger from Rockbottom was a solid choice. In a city that loves seafood, this burger does hold it’s own. I know that there are many other options within Halifax, and this is only the beginning of LoB’s fishy adventure!